Learn from industry experts, advance your campaigns and career, and network with your marketing peers. Whether you are looking to develop professionally and personally, optimize your digital marketing campaigns or shop for a new solutions provider to improve the effectiveness of your marketing, MarketingSherpa Summit 2016 will set you up with the tools and resources you need to succeed. Have one of our optimization professionals review your most pressing marketing challenges in a complimentary one-on-one consultation. Limited availability. Learn more about topics that challenge and inspire you in peer-based roundtable discussions, moderated by speakers and marketing industry professionals. Consult with marketing optimization experts to optimize your landing pages and emails in real-time with our interactive touchscreen technology. 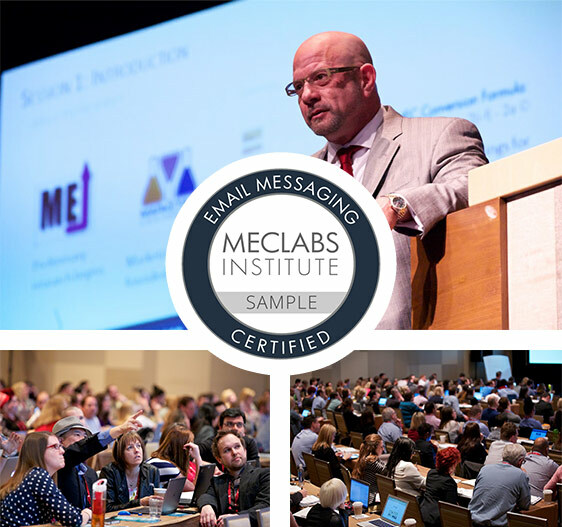 Earn professional certification and gain the knowledge you need to better test and optimize your email campaigns in MECLABS Institute’s Email Messaging Workshop. Explore solutions offered by over 40 of the industry’s leading technology service providers. 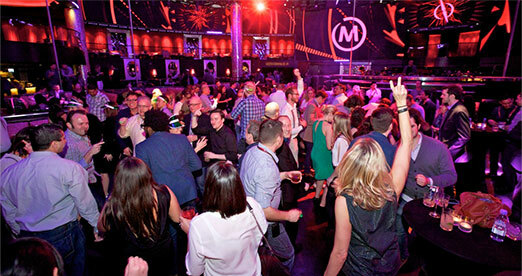 Let the city of Las Vegas be the backdrop for a night of fun, entertainment and networking. These half-hour, one-on-one Q-and-A consultations provide an opportunity for you to dive deep into your marketing program’s biggest challenges with a marketing industry expert. Who are these experts? Industry professionals whose ideas and insights have driven impressive digital marketing programs with proven results — results they will help you apply to your own marketing campaigns. Already registered for Summit? You can sign up for coaching clinics here. Please note that this year's topics will go beyond email, as the event's focus has expanded to topics relating to email, digital, mobile, and content. 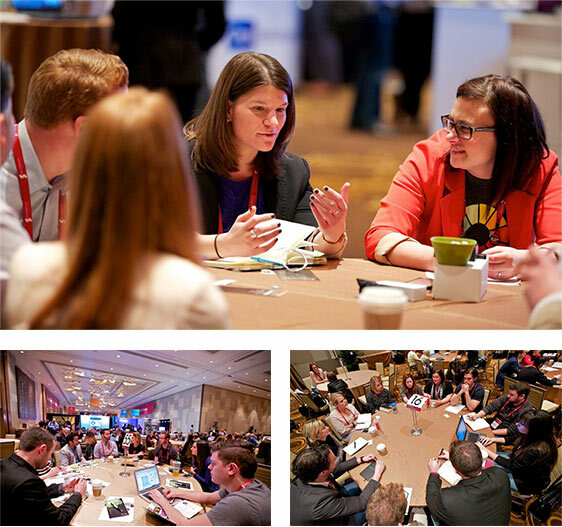 Interactive roundtable discussions are your chance to exchange professional insights with like-minded marketers who share your passion for driving value. Moderated by industry experts and Summit speakers, these forums will focus on the most relevant challenges in the current digital marketing landscape, as revealed by our research. You won’t find any sales pitches here — only practical, educational discussions on the topics that matter to you. Roundtables are the ideal place to learn from the real-world challenges of your peers, find common ground and discover opportunities regardless of your vertical. Gain practical insights from your fellow marketers and share your own discoveries with others. Already registered for Summit? You can sign up for Roundtable Sessions here. Does being on-trend matter more than being on-brand? With constant connectivity - does timing matter? Sales and Data: Which comes first? Content Marketing: What's new and what's next? 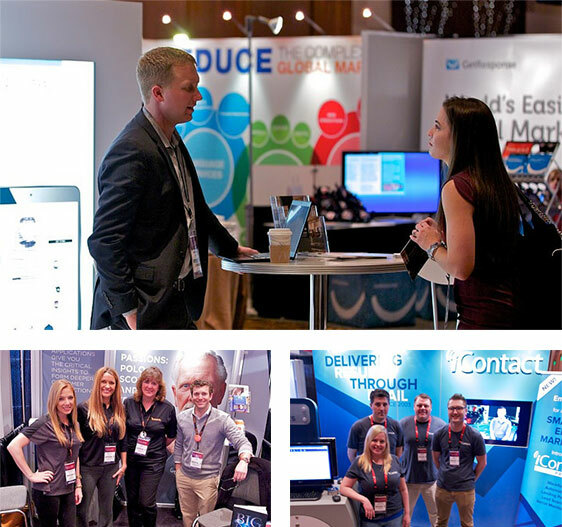 Work with influencers and your peers at our interactive booths to deconstruct your marketing challenges and learn how you can improve the effectiveness of your campaign. These stations are designed to act as collaborative zones where you can share, refine and develop strategies that will improve your customer’s experience. Our friendly optimization experts will help to facilitate the conversation and offer insights into what really works in marketing. This is an opportunity for you to generate ideas with other marketers and learn how to reach your audience in new ways. Build upon what you learn at Summit with the MECLABS Institute’s Email Messaging Workshop, where you will gain the tools you need to test and optimize your email campaigns. To attend this workshop (occurring Wednesday February 24, the day following main conference activities), select the three-day ticket option on the registration page. SESSION 1: Introduction – Why email optimization? Shopping for a new ESP or other marketing technology service provider? We’ve gathered over 40 of the industry’s leading vendors so that you can meet one-on-one to learn more about technology options, demo various products and help select a solution that will most effectively improve your marketing efforts. In our Solution Theater, you’ll be able to thoroughly evaluate various technologies when vendors take the stage to present their product — the challenges it helps address, how it’s unique and how marketers like you can best use it to improve the efficiency of your campaign strategy. We’ll be adding new vendors up until the event, so be sure to check back often to see if vendors you’ve had your eye on will be in attendance. 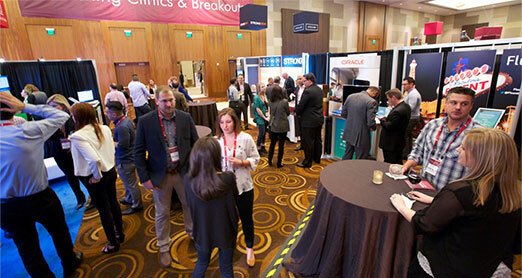 Join us on the Exhibit Floor for cocktails and some light refreshments as you mingle and chat with fellow marketers, event speakers and exhibitors. Be sure to explore the exhibit floor — attendees with the most exhibitor check-ins will be entered to win amazing prizes! Enjoy drinks and hors d’oeuvres as you mix and mingle with the best and brightest in the marketing world under the bright Las Vegas lights.